You’re wondering what the January weather is like in Lanzarote? We’ve been recording the actual weather here in Lanzarote since 2008 for our daily weather forecasts on Facebook, so we have a pretty good idea of what really happens here, which is much more useful than the standard “weather averages” you see in holiday brochures or online. So, what’s January like? We’ve gone through our own weather reports and we’ve summed them up for you. It’s light from 0730 until about 1800 in January. The sun still has high UV, so you will tan, and even burn! There’s a fair chance of cloud for part of the days, but when it clears the winter sky here is the most incredible blue. We do get some rain as part of our January weather. Typically, it will only be on 4 or 5 days, but it can be heavy. When it does rain here, it tends to be short and sharp, and then the skies clear. Daytime temperatures can vary from a low of 19 to a high of 28 degrees, but are usually in the range 22 to 24. January nights are as cold as it gets in Lanzarote, so expect 14 to 18 degrees, although in the hills, you might see 12! Generally, the trade winds are quite light in January. You can expect 5 to 15 KMH, and usually it blows from north or north east. If it switches to a southerly, that often means rain is on the way. Both 2016 and 2012 were fabulous, with no rain and top temperatures of 28 degrees. The wettest in recent years was in 2011, when we had storms and heavy rain at the rate of 15 litres per hour. We had calimas in 2015, 2011 and 2010 – they are when hot Saharan dust is blown over the island, and it’s usually very hot. It reached 29.5 degrees during the 2 day calima in 2010. January 2015 was the coolest for many years, with the temperature staying below 20 degrees for the second half of the month. 2018 was weird. I started glorious, but by the middle of the month it got unusually cold on the island, with daytime temps struggling to reach 17 degrees, and falling to 12 at night. We also had rain in the last week and even hail. 2019 was superb for the first 21 days, as good a January as we remember – blue skies, no cloud and temperatures between 24 and 26 degrees, although the clear skies and light winds made it cool at night. The last ten days gave us cloudy intervals, with occasional showers, but no heavy rain. Shorts, T shirts and flop flops are fine during the day, but bring a light fleece for the evenings, and perhaps some jeans. When it’s sunny, it’s definitely beach weather, although the ocean can be cool at around 19 degrees. Unheated pools in hotels can be pretty cold as well at this time of year. 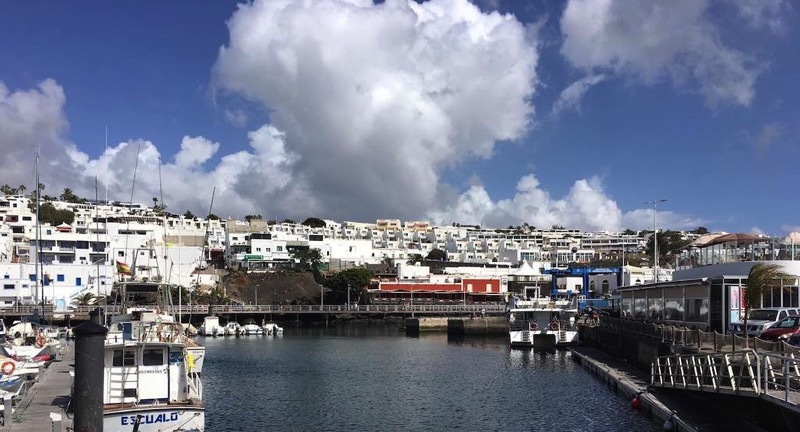 Read more about Lanzarote weather. 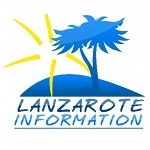 We’re the Lanzarote experts, and we can save you money on your next holiday to Lanzarote. We’re an ABTA bonded travel agency, so get in touch with us now and we’ll quote you for your visit: Lanzarote Enquiry. Villa 501 is a luxurious villa with air conditioning, private heated pool and a hot tub, as well as a huge sun bathing area, complete with astro turf.